a9 drops to 12-bit precision in continuous mode? You are here: Home / The Last Word / a9 drops to 12-bit precision in continuous mode? The Sony a9 has been announced to an excited public. A lot of the excitement centers around the reportedly super-fast electronic shutter, which allows frame rates to 20 fps, and minimizes rolling shutter effects. In the Sony a7x cameras, putting the shutter mode into the continuous state drops the raw data precision to 12 bits per pixel. Does that happen with the a9? It appears that it does. I just received a batch of a9 raw files from someone who will have to remain anonymous, at least for now. All were 14 bit precision except one, and it was shot in continuous mode. The camera accurately reported the precision of the files. Rishi from DPR wrote:”anything above 5FPS will be lowered to 12 bit”. But I don’t know what “5FPS” means. It could be Continuous Lo mode in e-shutter, or simlpy just Continuous mode in mechanical shutter, which is also 5FPS. 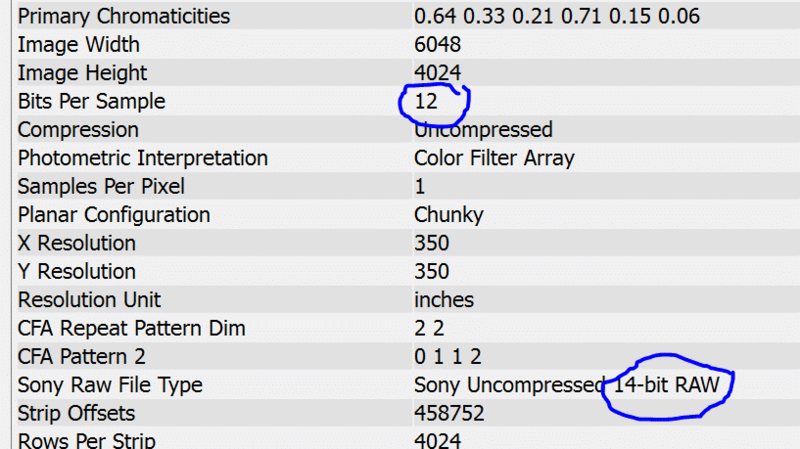 Sony offically says:”14-bit RAW output is even available when shooting single images using the electronic shutter.” So I have a pretty bad feeling about this. I’m confused by the terminology – is continuous shutter the same as electronic, or is there a continuous-shutter and continuous-electronic? I’d like to see a table comparing the different shutter modes and bit-depths. The main thing I’d like to know is this “what is the fastest rate I can take pictures with the electronic shutter, and still get 14-bits of real data”. From the discussion above, it sounds like the answer is 1. Continuous is a drive mode; when the camera is in one of the continuous modes, holding the shutter button down gets you s series of exposures at a rate that you can control to some extent. It is available with both the electronic and mechanical shutters. The main thing I’d like to know is this “what is the fastest rate I can take pictures with the electronic shutter, and still get 14-bits of real data”. From the discussion above, it sounds like the answer is 1. With short shutter speeds, pretty much as fast as you can press and release the button in Single Shot mode.